Institute for Studies in Industrial Development (ISID), Indian Society for Agro Ecology (ISAE) and the Third World Network (TWN) is jointly announcing a five-day capacity building programme on "Access to Seeds" during period October 24-28, 2016 at ISID Campus New Delhi. The programme will update the participants on the laws and policies in the seed sector. It will help them to place these laws and policies in a political economy context. The programme content will cover various aspects of access to seeds that are not covered in conventional curriculum. The programme would primarily focus on challenges facing the seed industry vis-a-vis intellectual property regime, biodiversity conservation, seed regulation, etc. The application deadline is October 3, 2016. 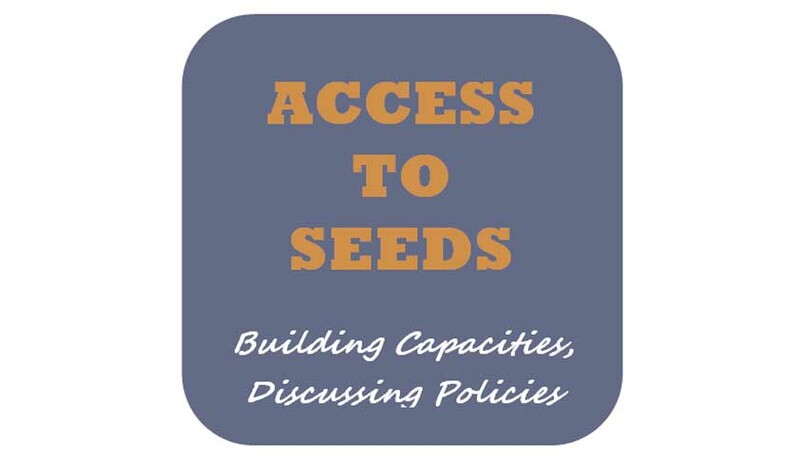 To develop a group of people willing to explore alternative approach (es) and undertake policy advocacy on access to seeds. Students/scholars/researchers pursuing graduate or post-graduate studies in law, public policy or agricultural sciences including those undertaking legal and/or seed-related research. Teachers/trainers in IP as well as scholars/professionals from law schools or agricultural universities. Central Government officials and state Government officials dealing with seed and agriculture related issues. Journalists who may wish to cover the current debates around the seed industry, in the light of the national and international developments on IP. Staff of NGOs/CSOs working on food and farm issues, also members of farmers’ organizations and seed-saver groups. Applicants are requested to send a short write-up/essay (700 words approx.) explaining their interest on the course and relevance of the course to their study/work to be considered by the organizers for their selection. Out of the selected thirty participants about fifteen participants will be entitled to receive financial support to cover their cost of boarding and travel (equivalent to second AC train fare). Those who are interested in seeking financial assistance should specifically mention the need for financial support in their covering letter. All selected candidates will have to pay a token amount of Rs.2,000/-towards participation money by October 15, 2016. Participants will be provided with resource material, field exposures, and lectures by distinguished experts, and local hospitality (breakfast, lunch and dinner) at the venue. Interested candidates can send their CVs along with their brief write-up giving their area of research interest to Ms. Shalini Bhutani, Course Coordinator, e-mail : seedcourse2016@gmail.comon or before 3rd October 2016. Selected candidates will be intimated by mail by 8 October 2016.